The weather's getting warmer, the grass is getting greener, and our spring scrapbook layouts have started to blossom. 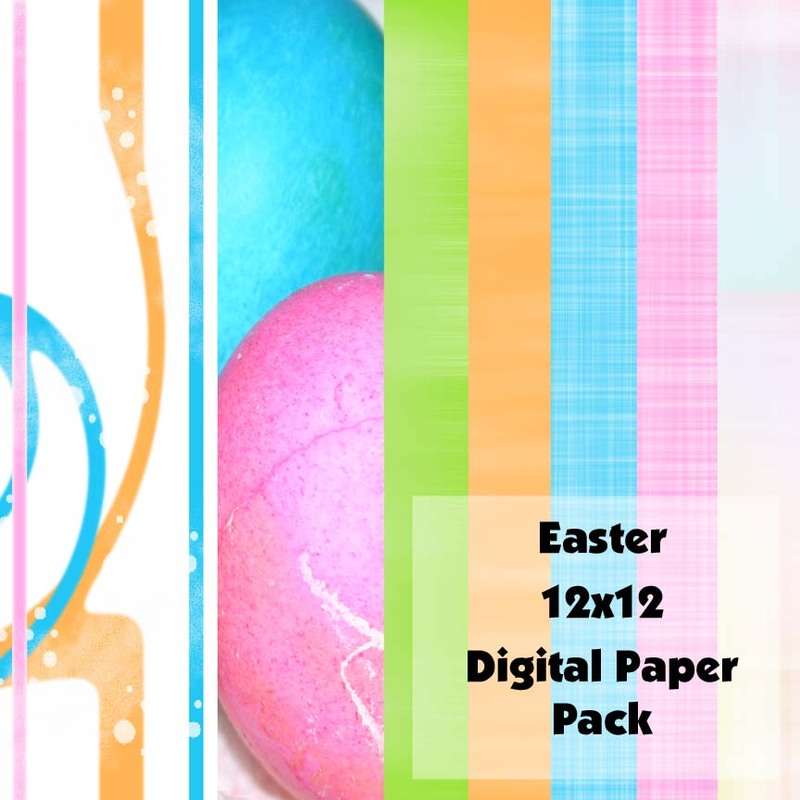 Just in time for Easter... We are pleased to offer our very first scrapbook layout kit. 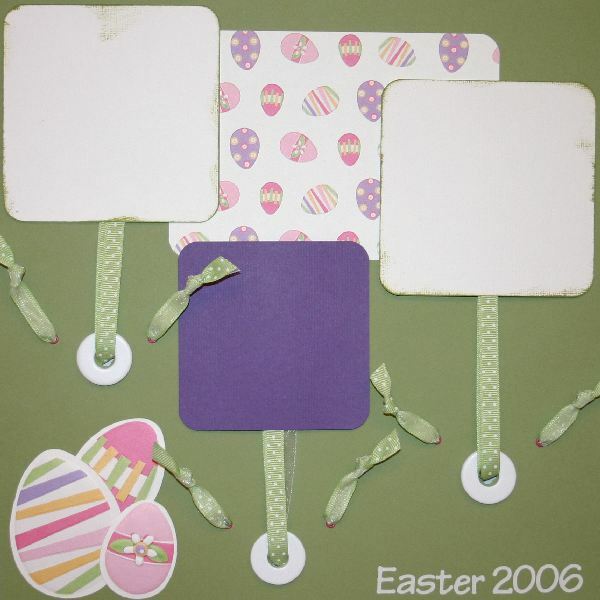 This kit will give you what you need to create this Easter scrapbook layout, a modified version of this layout, or...something completely different! To create the inked edge on the white mats in this layout, we used Tim Holtz's Distress Ink in Peeled Paint. If you don't already have this ink pad in your tool kit, and would like to include it in your order, click on the Buy Now button below. We love the look that inked edges give scrapbook elements, and we've found that the Peeled Paint color has multiple uses, aside from this spring scrapbook layout. If you're interested in purchasing this Easter scrapbook layout pre-made, where all you do is add pictures, just drop us a line! So many of us out there are using digital cameras to capture our memories, which has spurred an interest in digital scrapbooking (where scrapbook layouts are created using computer-generated elements only). The great thing about digital scrapbooking is that you can use the paper and embellishments over and over, but you only have to buy it once. When on any excursion with the little guys, we have a tendency to take hundreds of pictures - not just of them, but also of the surroundings (e.g., scenery, macro photographs of flowers, architectural details, etc.) because you never know when it will come in handy. You can use "extra" pictures to create scrapbook elements, such as journaling mats, or your own digital patterned scrapbook paper. 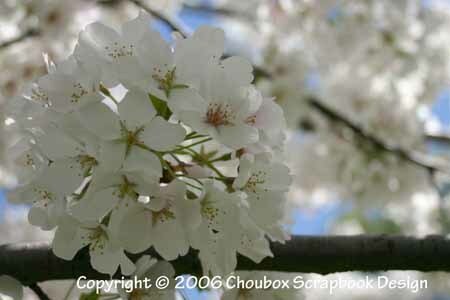 Image available for immediate download by clicking on the link above. NOTE: All images are for personal use only. If you could like to use our images for something other than personal use, or for larger image formats, please contact us.